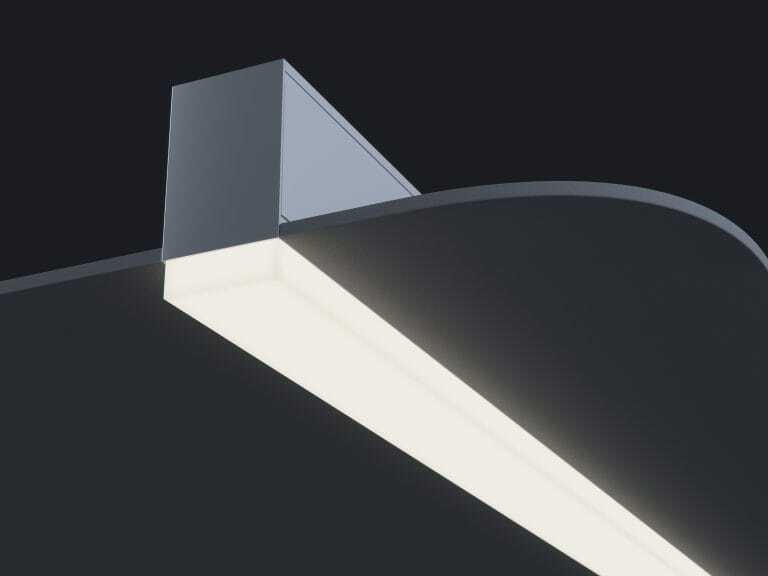 Linear, architectural luminaire with 1’’ drop below pop-out lens. For use in indoor applications where an LED luminaire providing continuous light is required. Suspended, surface or wall mounted installation.